See below for detailed information about the host hotel. 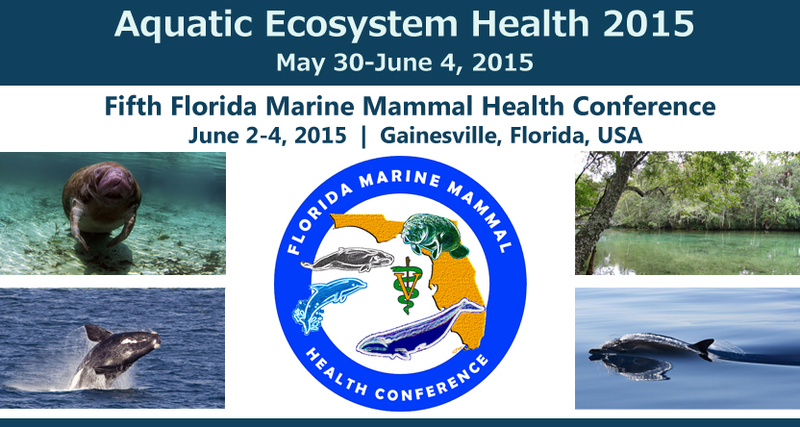 The conference will be held at the Hilton University of Florida Gainesville Hotel and Conference Center. The conference hotel is located just a few miles off of I-75 and only 10 miles from the Gainesville Regional Airport. The hotel is located directly across the street from the South end of the University of Florida Campus. Directly across the street are the Florida Natural History Museum, Harn Art Museum, and Phillips Center for the Performing Arts. Within a short drive, conference participants will have access to a number of restaurants, bars, and storefronts located along Archer Rd. Amenities at the hotel include a 24-hour fitness center and an outdoor swimming pool. The hotel will provide breakfast, lunch, and coffee breaks during the conference. All programs will occur at the Conference Center except the Reception at the Florida Museum of Natural History, located across the street (within walking distance). The Hilton University of Florida is offering participants a very special rate of $129.00 per night (plus applicable state and local taxes, currently 11%) for up to two people in a room. Reservations must be made by Friday, May 8, 2015 to guarantee the discounted group rate. The hotel offers a complimentary shuttle to the University of Florida, Shands Hospital at UF, and the Gainesville Regional Airport, based on availability. For more information on shuttle reservations, email Ms. Angela Crumpton with the Hilton at acrumpton@hiltongainesvilleuf.com. The hotel is also pleased to offer complimentary self-parking for conference attendees. Complimentary wireless internet is available to conference attendees both in the meeting rooms and in guest rooms (regularly $9.95 per day). *No porterage or maid gratuities will be included or automatically charged to your room; both are at your discretion. 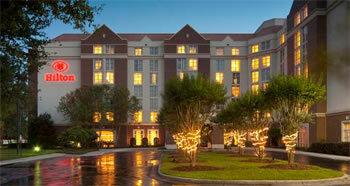 The Hilton University of Florida is Green Lodging certified. For information about Florida’s Green Travel Policies, click here. To make your hotel reservation online at the reduced group rate, click here. You may also make your reservation over the phone by calling 1-800-445-8667 OR 352-371-3600. When making your reservation by phone, use Group Code AEH515 and state that you are with the Aquatic Ecosystem Health Conference in order to receive the reduced group rate. Reservations must be made by Friday, May 8, 2015 in order to guarantee this special group rate. Please be aware the block of rooms may fill before the deadline, so we urge you to make your reservation as soon as possible. After April 27th, thediscounted rate is not guaranteed. All reservations must be accompanied by a first night’s room deposit or guaranteed with a major credit card. Florida government participants: To receive tax exempt status, payment must be made in the form of a government issued check or credit card and be accompanied by a Florida sales tax exemption certificate presented at check-in. Cancellation of individual reservations must be made at least 24 hours prior to arrival or 1 night’s room and tax will be assessed. If early departure before the scheduled check-out date is required, an early departure fee of ½ day’s rate will be charged to the guest’s account for a 1:00-5:00pm check-out, and a full day’s rate will be charged for check-out after 5:00pm on the early departure date. If a guest departs before 12:00pm on the early departure date, a fee will not be assessed. Guests wishing to avoid the fee must advise the hotel at or before check-in. If late check-out after 12:00pm is requested and approved on the day of departure, a ½ day's rate will be charged to the guest’s account for check-out before 5:00pm, and a full day’s rate will be charged for check-out after 5:00pm.